Wow, those tan Church’s brogues are lovely, and they’re 50% off. That’s great value. Some of the best English shoes made, for £140. No, stop it. Be strong. I was looking at that Brooks Brothers holdall last year. An elegant combination of leather and canvas; smart calf on top and a lightweight body underneath. Reduced by 40% already as well. No, it will get cheaper. Just hold on. Some sales started this year in the first week of December. Church’s and Brooks Brothers were two, but there were many others, including Nicole Farhi. Walk around Selfridge’s and almost every brand has a rail at 20% or 30% off. Ralph Lauren has told loyal customers that the private sale has been brought forward this year to December 17 and 18 “due to the timing of the public holidays”. Yeah right. It all smacks of desperation. For years, the January sales have been brought further and further forward. First it was December 27th; then a few days before Christmas (no one’s going to be buying presents at that stage, right? ); now it’s mid-December and has essentially become the Christmas sale. The most intense period of retail activity the whole year, and you have to reduce your prices to get punters in. It’s not a good sign, is it? So by the time Christmas is over, shops will actually be on to their second round of reductions (70% in some places, 50% in others). And given the state of the economy there may well even be a third round of desperate cuts in January. Those Church’s brogues and Brooks Brothers holdall will be a lot cheaper. Which is why you have to stay strong. Save your money now and you’ll get better value in January. Don’t accept anything that’s less than half off, and look out for individual offers like the two-day Ralph Lauren one above. A few other points worth considering. 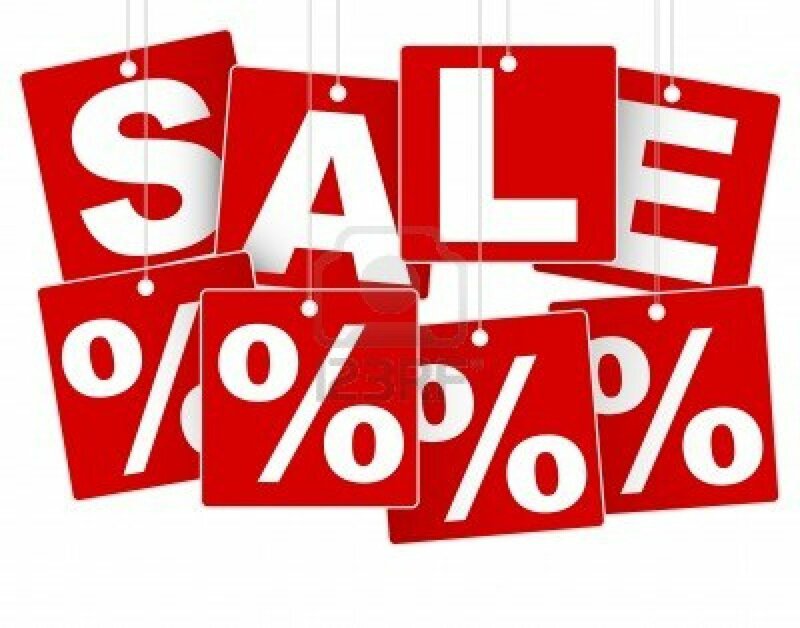 Discount stores will be flooded with relatively recent pieces as stores have to clear out for Spring/Summer but have more stock lying around. So it’s worth paying more attention to these. Also JM Weston only has one sale a year, which starts on December 27. Have a look in January – you won’t get another chance for a year. And Hermes always has an unannounced sales offsite, which only lasts about two days. Ask them in-store when and where it is and they’ll tell you; it just isn’t advertised anywhere. Any other hot tips on sales (preferably in London) appreciated. You can follow the discussion on Be patient with the sales by entering your email address in the box below. You will then receive an email every time a new comment is added. These will also contain a link to a page where you can stop the alerts, and remove all of your related data from the site. I see that Messrs TM Lewin (http://www.tmlewin.co.uk/) and Harvie & Hudson (http://www.harvieandhudson.com/) have sales on at the moment. Ties seem to be the most discounted. Any thoughts on their style and quality? Both are of passable quality, but do not be fooled by their sales. Both have sales 40 weeks of the year. In fact, they only ever go back to full price in order to fulfil the legal obligation that allows them to say a shirt is theoretically £79. They are good value shirts for £22, but don’t be fooled into thinking they are more than that. To dredge his up from the past but do you really think h&h are of comparable quality to tm lewin? In my experience h&h are far superior – their slim fit shirts in particular fit me very well and are made of wonderful cotton. In contrast tm lewin seem to be massed produced and low quality. No, I think I would revise that and say that the H&H shirts are made better. The general point about sales remains however. I agree that H&H are a better make (mother of pearl buttons as standard for instance). I also much prefer the stand of the collars compared to the other usual suspects; taller and stiffer. I personally switched to them from Tyrrwhit for work shirts.